Villa Asteri enjoys an outstanding position overlooking the harbour village of Gaios and the picturesque wooded island of Agios Nikolaos, is not only perfectly proportioned for that intimate holiday for two but also has a private pool that would grace much larger houses. The villa has a shaded verandah and patio on three sides for contemplating that view on a hot and lazy afternoon. 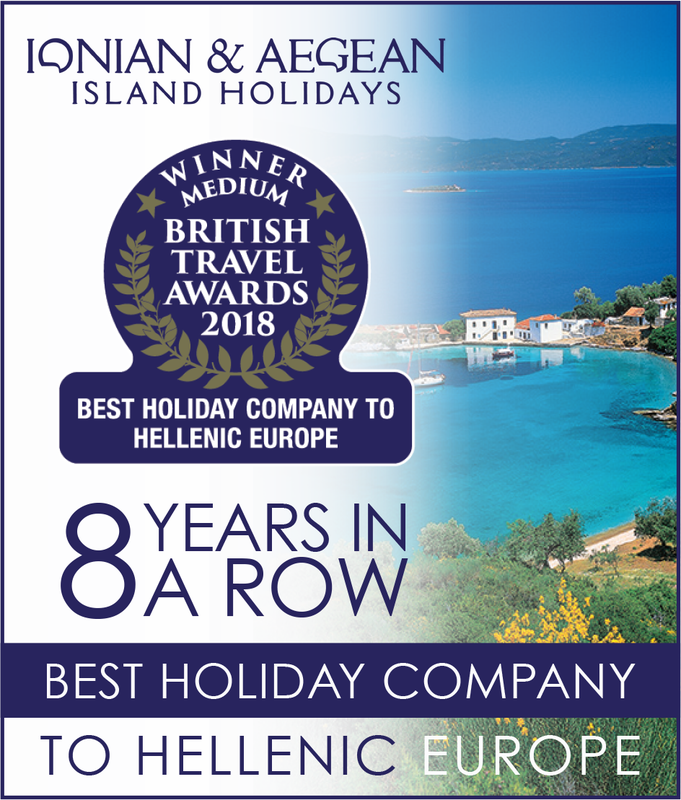 Many return to Paxos as much for the island’s friendly and intimate atmosphere as for its undeniably beautiful interior and coastline and this small villas reflect those unique characteristics. Villa Asteri is very popular with guests who want to walk into Gaios and enjoy the cafes and eateries the capital has to offer. NB: This villa is on a staggered incline with Villa Fegari at the top, Helios in the middle and Asteri below. The villas are reached by a steep driveway with a number of steps up to Helios and Fegari and may not be suitable for people with walking difficulties.